Courtesy of Thomas B Mongold, RE/MAX Realty Agency. IMPRESSIVE new construction at Majestic Ridge. Beautiful kitchen featuring quartz counter tops, center island and all appliances. Elegant formal living room with shaker judges paneling, recessed lighting and custom trim throughout, spacious family room with gas fireplace with stone surround and separate dining room with ship lap wall. Four bedrooms including a fabulous master suite with coffered ceiling, full master bath featuring custom tile shower, custom heavy glass shower door, separate soaker tub, and walk-in closet. Convenient upper level laundry area with tile floor. . Full basement with walk out access and 9′ ceilings. Two car attached garage. This is a must see home. 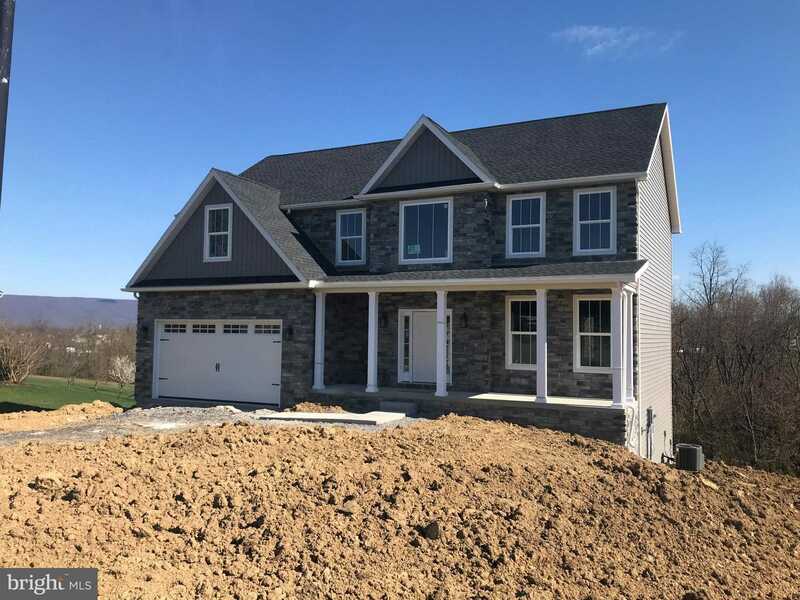 Please, send me more information on this property: MLS# PAFL164670 – $319,900 – 1584 Bunker Court, Chambersburg, PA 17202. I would like to schedule a private showing for this property: MLS# PAFL164670 – $319,900 – 1584 Bunker Court, Chambersburg, PA 17202. © 2019 Help-U-Sell Keystone Realty. PA DRE #RB065711 All Rights Reserved. Real Estate Website Design powered by Home Junction.